According to IDC FutureScape predictions, by the end of 2017, two-thirds of the CEOs of Global 2000 companies will have digital transformation at the center of their corporate strategy. 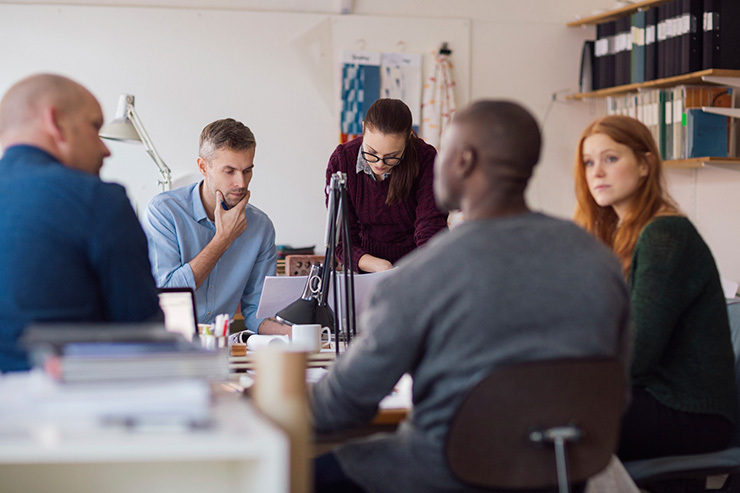 Getting everyone in the organization excited and working together in support of that strategy, however, can make not only for a challenging start – but a challenging long-term focus. and one that is just as focused on, alert and responsive to outside influences (even those outside of their industry) as it is to internal ones. 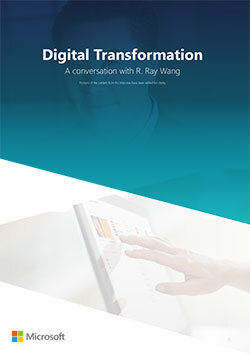 In a recent interview, Constellation Research founder and principal analyst Ray Wang notes that while many CEOs plan to put digital transformation at the center of their corporate strategy, the hard part is actually supporting and leading a change in the way things have always been done, especially if the status quo is still operating fairly successfully. “The reason digital transformation isn’t working for a lot of organizations,” says Wang, “is because it has to start from the board level. It has to start from the top. And it’s hard, because what you’re asking yourself to do is to develop a business model that will disrupt yourself. That’s not in human nature to do. “In order to be successful in digital transformation, the cultural dimension is really about finding those people who know how to color outside the lines (and color inside the lines when they have to). In a recent CXO Talk, business model innovator Alex Osterwalder and culture strategist Dave Gray suggested organizations should look at their culture like the operating system of a computer. It’s functioning all the time in the background, and while it enables you to do many things, it also limits, controls or blocks the way you do others. Osterwalder notes that most organizations are really good with a single operating system – a culture of execution. “We’re really good at running our existing business models and making them better, and cutting out the fat, and getting better at it all the time.” But what organizations looking to succeed in digital transformation really need is a dual operating system that supports innovation at the same time it’s supporting execution. Gray notes that it’s not enough anymore for organizations to hold a party with pizza and balloons and say, “we’re going to be a different organization from now on; now go execute.” Because once the pizza is gone and the balloons have been popped, everyone will go back to their desks, and the operating system and processes that have always been in place will only allow them to keep doing the same things that have always been done – the way they have always been done. To execute in digital transformation, the entire organization will need transformational tools and an innovative and collaborative culture that addresses its operating system’s enablers and blockers and changes as needed to discover and develop new business models, move forward, and keep doing so again and again. Organizations with a dual operating system – an execution culture and an innovation culture – are what Osterwalder refers to as invincible companies. They execute on currently successful business models while experimenting and developing new ones, and the culture supports change when and as it needs to happen. Is your company creating a culture conducive to digital transformation?